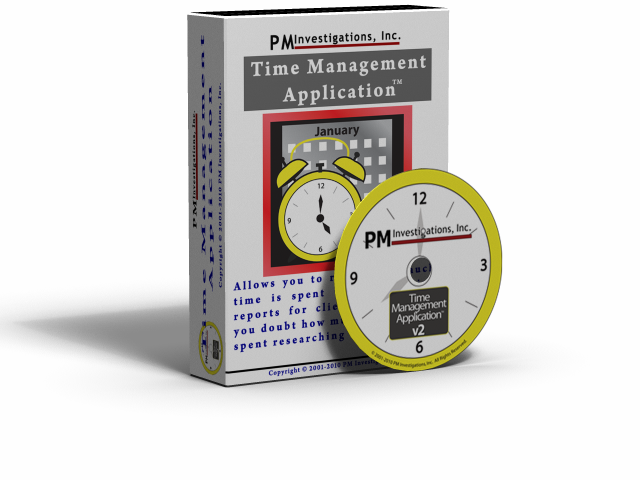 Time Management Application – PM Investigations, Inc.
Add or select a product to start monitoring. Set pause or keep the clock ticking. Create customize reports complete with your logo. The reports are easy to follow and can be customized as well. The below screens allow you see how easy TMA can be to use. So what’s stopping you? Order today! Add your client’s name and case number to start the process. 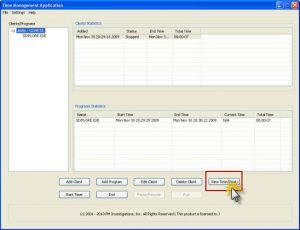 An easy screen to add programs to monitor! You can even add web pages from sites that you research or monitor your Inbox traffic. 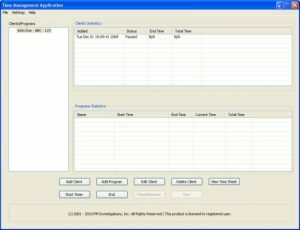 Or use the simple Wizard to start the process and finish adding their applications to monitor without leaving the screen. 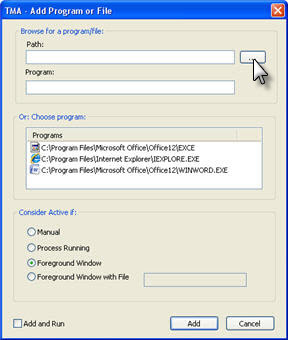 The above image shows you the easy to use interface. The above image shows you how easy reporting can really be. With the report now ready for the client, and by adding your address with investigator’s name and logo within Time Management Application, the only thing left to do is print! 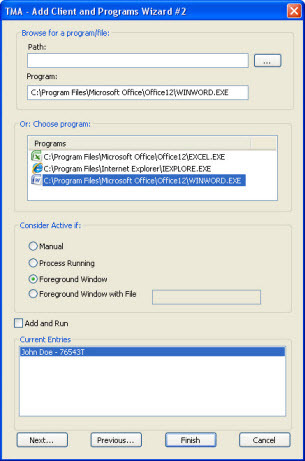 Or you save the report (PDF or RTF) and add it to Visual Report Manager to continue to manage their case.